The countermanding of this order within four hours, at seven minutes past midnight. 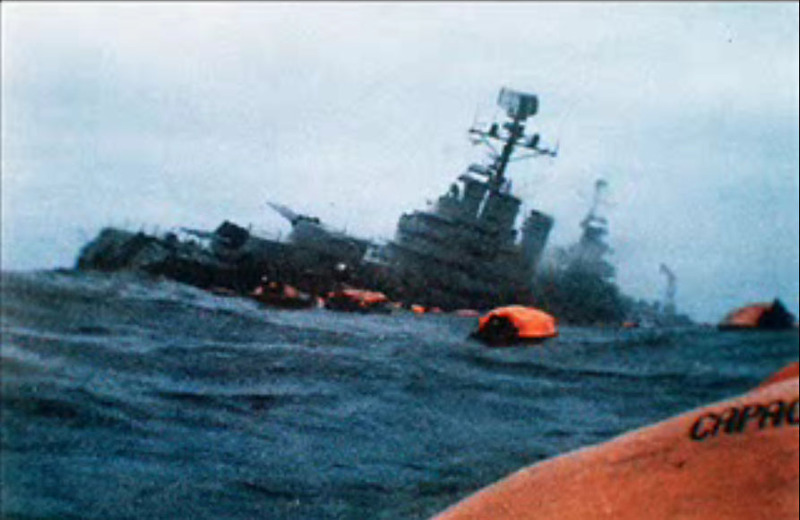 These signals show that the Belgrano was not engaged in the Argentine ‘pincer movement’ about which Navy chiefs claimed to have received intelligence. They also show that even the ‘pincer movement’ involving the two northern groups, had been called off by dawn on Sunday, 2 May… These GCHQ disclosures reported last week and confirmed by The Observer, make clear for the first time why London’s order to sink the Belgrano was so puzzling that it had to be sent three times to the British submarine The Conqueror. Although the government has refused to confirm when and how fast GCHQ intercepted Argentine signals, that it did so quickly has never been in doubt. GCHQ staff were praised for their work after the Falklands conflict and Narendra Sethia, a member of the crew of the submarine Conqueror, which sank the Belgrano on May 2nd, noted in his diary ‘We are evidently able to intercept much, if not all, of the enemy’s signal traffic. The boys in Cheltenham know their stuff. That is as good as it gets. That is confirmation of the basic Dalyell thesis. Now, as we come up to the 30-year period of secrecy (2012), will more details be released? Confirmation of this, comes from the Foreign Affairs Committee Report of 1985: it quoted an article in the Cambridge based magazine Granta, that at 1am Atlantic time, ‘Lombardo’s confirmation of the recall order five hours after the first signal for the Argentine fleet to withdraw ‘was received in good order at GCHQ, but no trace of its decoded text appears to exist at the Ministry of Defence… This signal, once decoded, would have deprived the British Navy of any excuse to start shooting on the high seas.’(civ). There may also have been information via a US communication satellite in polar orbit. Attempts have been made to obfuscate these real, intercepted signals, with no less than three books averring that an intercepted message shows the Belgrano receiving an order on May 1st to sail towards the task force and attack it: the Official History by Sir Lawrence Freedman (2005), ‘Sink the Belgrano!’ by Mike Rossiter (2007, p.214) and ‘The Silent Listener’ by Major David Thorpe (2012) Th0rpe has the signal a day earlier. The whole operation couldn’t have been conducted without American support on Ascension Island. None of the ships would have had enough fuel, none of the ships flying off Ascension Island would have had fuel unless the Americans had provided it. There would have been no communications with the Task Force at all if by chance the Americans had not put up the communications satellite twelve months before over the South Atlantic.’ (Ponting, p.53). ‘the anti-aircraft missiles with which the British carriers and Sea Harriers were equipped were the so-called ‘Side-winder’ missiles and the maker of this missile in the United States, a very widely used missile, had come up with a very much improved version which was incredibly sensitive in terms of its heat-seeking ability. Britain had some supplies of this at the start of the war. It was realised they would very quickly be exhausted. And the United States provided large numbers of the ‘Side-winder’ Mark-L which were used throughout the war and contributed hugely to the success of the Harriers in maintaining some degree of air superiority over the Islands. Now that was really occurring before as well as after the Belgrano incident and really privately there was a huge flow of equipment and material across the Atlantic throughout the war. (Paul Rogers, p.132).